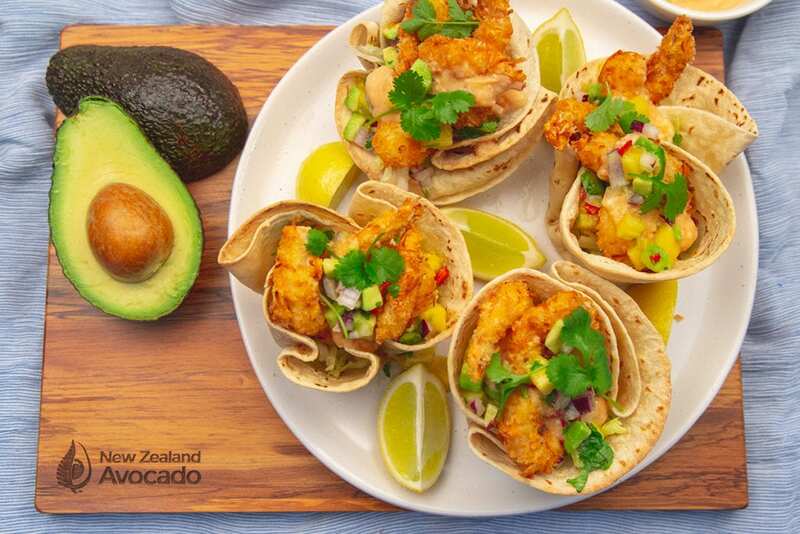 Crunchy, cheesy tostadas topped with guacamole, spicy giant prawns, fresh coriander and a drizzle of avocado oil. 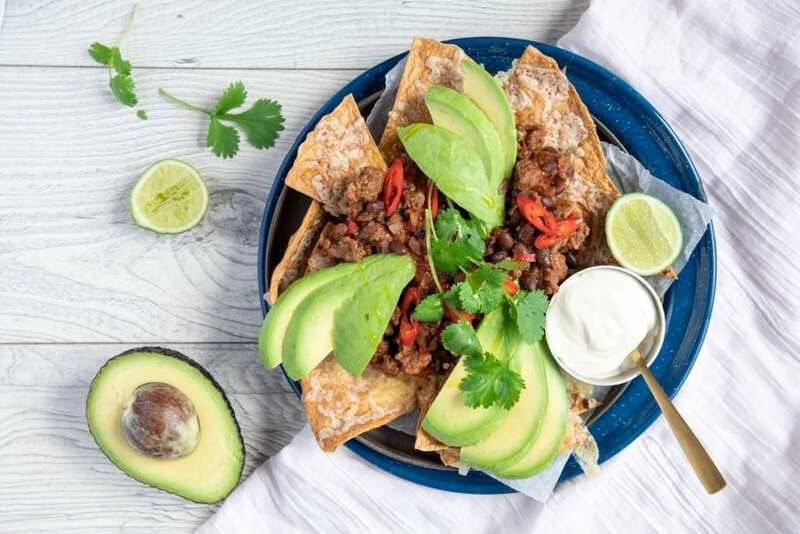 The perfect summer snack or addition to your Mexican banquet. Enjoy with chilled beer or margarita! 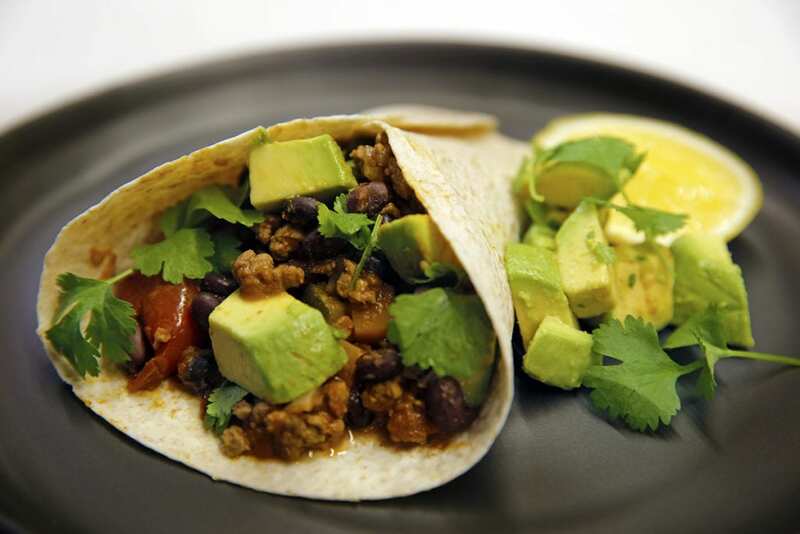 Lightly brush both sides of the tortillas with avocado oil. Bake on a baking tray for 10 minutes until the tortillas are well toasted. Turn over once during cooking. Evenly divide the cheese over the tortillas and place back in the oven until cheese is melted. This will take only 2-3 minutes. Remove from oven and set aside. While the tortillas are in the oven, make guacamole and cook prawns. 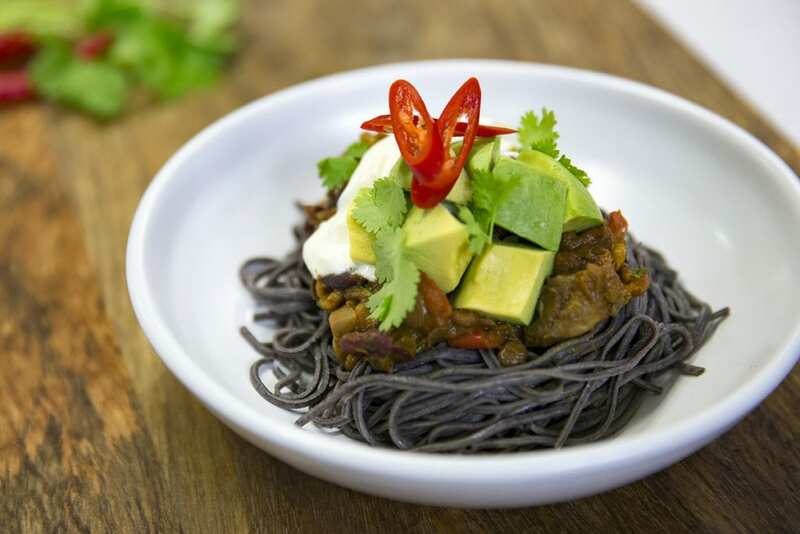 In a bowl, combine avocados, coriander, red onion, lime juice, paprika and pinch of salt. Mash up with a fork until smooth. Toss the prawns with the cumin, chili powder, chili flakes. Heat a splash of avocado oil in a non-stick fry pan add garlic. Add prawns and sauté for 2-3 minutes until just cooked. Remove from the pan and set aside. Spoon the guacamole over each cheesy tostada, followed by prawns. Garnish with more coriander and serve with lime wedges and extra avocado oil. 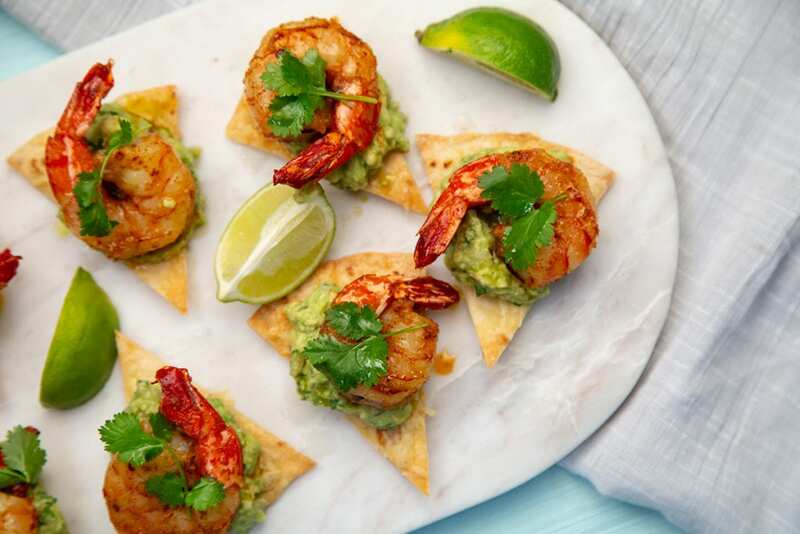 Share the post "Prawn & Guacamole Tostadas"